How’s it going? Thanks for visiting! My name is Cody Hosterman and I am currently a Technical Director for VMware Solutions at Pure Storage. My focus is VMware best practices, integration and general solutions. I love technology and I love learning about how it works. Previously, I worked at EMC Corporation in Symmetrix Engineering (VMAX) focusing on VMware as well. I’ve kicked around with VPLEX and ScaleIO a bit too. Current focus is on the vRealize suite, but also SRM. vRO and vRA are my current best friends. PowerShell is my friend as well. If you have questions hit me up on Twitter! Or comment on here. In my spare time I like to bicycle, play in a kickball league with my friends, bar trivia, camping, hiking and traveling. Also a die hard college football fan (We Are… Penn State!). Pennsylvania -> Massachusetts -> California. Is there away to get email alerts for new posts in this blog? Its PureStorage now ! Great ! Always good to read your articles Cody ! Yep–started with Pure in April! Thanks Arjun! Is there any way you can post an updated link to your script on this post? The current link is returning a 404 on github for me and I would really like to use this in our environment. Thank you! Could you email me for a discussion? storage can I achieve the same in VMs as well. Yeah you certainly can use them–though it depends on what storage type you are using in a VMware environment. It is a bit more work with VMFS due to the abstraction layer but if you are using VVols it is very easy. 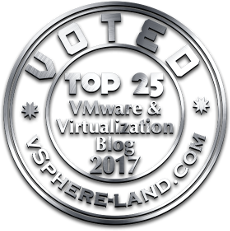 So the question is first, are you using VMFS or VVols? Then depending on that, what tool would you like to use to manage snapshots? PowerShell? Python? Etc. Thanks for the amazing blog and tutorials you posted here, they are really helpfull. I work in PRACSO wich is a Pure Partner, and I’m having problems conecting my VM’s to the storage via FC, think you can help me out? You’re very welcome! Thanks for being a partner! I would recommend opening a support ticket via support@purestorage.com–this would be the fastest way to resolution. I been looking just for standard CLI reference guides and Admin Guides on the Pure Platform but hard to come by unless you are a customer I am assuming. I am currently a HPE 3PAR Engineer and will be supporting some Pure Storage soon, and trying to get up to speed on the Administrating the array from CLI and the Storage Admin Interface. Any help I would appreciate it!